I spoke earlier with NTD Senior China Analyst Dr. Zhang Tianliang, who’s been following Bo Xilai’s situation closely. He said that Bo’s removal was not a surprise…especially after Chinese Premier Wen Jiabao criticized Chongqing’s leadership on Wednesday. Dr. Zhang said that Wen’s remarks were highly unusual. Bo Xilai is Party chief of Chongqing no longer, according to the Chinese Communist Party mouthpiece People’s Daily. The public destruction of Bo’s career—coming on the heels of a press conference held by Premier Wen Jiabao where Bo was publicly rebuked—is a dramatic climax to a political power struggle that first burst into the open last month when Bo’s lieutenant sought refuge at the U.S. Consulate in Chengdu. The dissident news website Boxun reported Wang accused Bo of plotting a coup to overthrow the next presumptive head of the CCP. Prior to 18th Session of Chinese Communist Party (CCP), Wang Lijun, police chief and vice mayor of Chongqing City, known as“anti-gangland hero”was suddenly exempted from the important position of police chief in Public Security Bureau. Overseas news disclosed that an investigation has been started on Wang Lijun, due to his corruption and abuse of torture. The outside world analyzed and pointed out that Wang Lijun, an important underling of the Party Secretary of Chongqing City – Bo Xilai – stepped down from his office. Madrid – A Spanish judge wants to question former Chinese president Jiang Zemin and four other Chinese Communist Party officials over allegations of torture and genocide against the Falun Gong, a lawyer for the spiritual movement said Thursday. Judge Ismael Moreno of the National Court made the decision after concluding a preliminary inquiry, Falun Gong lawyer Carlos Iglesias said. The Supreme Court in 2006 ordered Moreno to probe a complaint for genocide filed two years earlier by the Falun Gong and which had initially been rejected. Iglesias said the Chinese officials will receive a letter requesting information about their alleged involvement in the persecution of the Falun Gong. If they fail to reply within six weeks, the judge could issue arrest warrants against them, Iglesias said. Chinese authorities banned Falun Gong, whose Buddhist-inspired teachings focus on exercises and which claims 70 million followers in China, in 1999. Beijing has since branded Falun Gong an “evil cult” and sometimes brutally suppressed its practitioners. The Spanish case was accepted under the principle of “universal jurisdiction” which Spain has observed since 2005 and which allows judges to open probes into genocide and human rights abuses wherever they occur. But it has also caused diplomatic headaches for the government, and Spain’s parliament voted in June to limit its scope. In May, a Spanish judge also issued rogatory letters to China to request information on eight leaders targetted by a suit by a Tibetan rights groups accusing them of repression in Tibet. Five high-ranking Chinese Communist Party Officials have been indicted in a Spanish court for crimes of torture and genocide against Falun Gong practitioners. Among them is former head of the Communist Party, Jiang Zemin. He’s responsible for launching the brutal campaign in 1999 to “eradicate” the Falun Gong meditation practice. The court decision means Jiang and the others have 4 to 6 weeks to reply to the judge’s request for their testimony. Otherwise they could face extradition. They could be arrested if they travel to any of the dozens of countries that have extradition treaties with Spain, including the United States. Theoretically they would then be sent to Spain, where they would stand trial and could face up to 20 years in prison. – Wu Guanzheng, head of an internal Party disciplinary committee. On November 13th, Spanish National Court Judge Ismael Moreno notified attorney Carlos Iglesias of the Human Rights Law Foundation that the court had granted a petition to indict the defendants. Iglesias says evidence of the genocide is abundant and has been accepted by the judge. That includes oral testimonies of seven Chinese victims of the persecution as well as reports by Amnesty International, Human Rights Watch and the U.N. Human Rights Commission. As reported by The Epoch Times online and in Monday’s print edition, the five officials of the Chinese Communist Party (CCP) include Jiang Zemin, the former top man in the Party, and Luo Gan, head of the notorious 610 Office, a nationwide secret police task force that has led the violent campaign against Falun Gong. Additional details were announced Wednesday in a press release by the Falun Dafa Information Center, on behalf of the Human Rights Law Foundation (HRLF), which is heading the legal effort in Spain. Carlos Iglesias is the HRLF attorney on the case in Spain. “When one carries out the crime of genocide or torture, it is a crime against the international community as a whole and not only against Chinese citizens,” Iglesias said. For committing the crime of genocide, the defendants face imprisonment for up to 20 years and may be economically liable to the victims for damages. Based on the magnitude of the crimes committed by the defendants, they are likely to face the maximum 20-year penalty for their crimes. According to the press release, the defendants have 4-6 weeks to reply and could subsequently face extradition if they travel to a country that has an extradition treaty with Spain. The decision was taken under the legal principle of universal jurisdiction, which allows domestic courts to hear cases of genocide and crimes against humanity regardless of where they occur. Falun Gong is a traditional Chinese spiritual discipline that was practiced by 100 million people in China before it was banned in July 1999 by the CCP. It was initially supported by the CCP as promoting health and social harmony, but was suddenly declared illegal and subsequently violently persecuted, largely on the decision of Jiang Zemin, one of the defendants in the case in Spain. The court also took a historic step in being the first to legally recognize the persecution against Falun Gong as amounting to genocide. NEW YORK – In an unprecedented decision, a Spanish judge has indicted five high-ranking Chinese Communist Party (CCP) officials for their role in crimes of torture and genocide committed against Falun Gong practitioners. Among the defendants is former CCP head Jiang Zemin, widely acknowledged as the chief instigator of the campaign to “eradicate” the spiritual practice. Following a two-year investigation, Spanish National Court Judge Ismael Moreno last week notified attorney Carlos Iglesias of the Human Rights Law Foundation (HRLF) that the court had granted a petition to indict the defendants on charges of torture and genocide. According to the notice, for committing the crime of genocide, the defendants face imprisonment for up to 20 years and may be economically liable to the victims for damages. The Judge’s notification also stated that the court had granted a petition to send rogatory letters (letter of request) to the five defendants in China with questions relating to each individual’s involvement in the persecution of Falun Gong. The decisions followed a series of submissions to the court by Iglesias and other HRLF staff. Among the accused are former CCP leader Jiang Zemin, widely acknowledged as the primary instigator of the campaign launched in 1999 to “eradicate” Falun Gong. Also facing charges is Luo Gan, who oversaw the 610 Office, a nationwide secret police task force that has led the violent campaign. Chinese lawyers have compared the 6-10 Office to Nazi Germany’s Gestapo in its brutality and extra-legal authority. Other evidence considered by the judge during his investigation included written testimonies from fifteen Falun Gong practitioners and oral testimonies from seven practitioners, including torture victims and relatives of individuals who had been killed in Chinese custody. The judge also relied on reports by Amnesty International, Human Rights Watch and the U.N. Human Rights Commission to reach his decision, HRLF attorney Iglesias said. To arrange for an interview with attorney Iglesias or one of the witnesses, please contact the Falun Dafa Information Center or the Human Rights Law Foundation. The ongoing campaign against triads, or Chinese-style mafias, in the west-China metropolis of Chongqing is the largest such operation since 1949. Yet what renders this so-called “anti-triad tornado” (fanhei fengbao) so disturbing is not simply that close to 3,000 big-time criminals have been nabbed by authorities, the Chongqing disaster has laid bare the full extent of the collusion between organized crime on the one hand, and senior officers in the police and judiciary on the other. Even more shocking is the fact that what the local media calls “dark and evil forces” have become so entrenched and prevalent in this megacity of 34 million people that it required a directive from the Chinese Communist Party (CCP) Politburo Standing Committee—the highest level decision-making body in the state—before sufficient law-enforcement resources could be mobilized to combat the well-heeled—and well-connected—syndicates (Guangzhou Daily [Guangzhou], October 30; The Associated Press, October 21; Apple Daily [Hong Kong] August 14). The scale of Chongqing’s triad operations can be gleaned from the fact that 1.7 billion yuan ($250 million) of ill-gotten gains have so far been uncovered from 24 crime bosses. According to the official China News Service, triads have infiltrated business sectors including finance, transport, construction and engineering, entertainment, restaurants and retailing. More than 200 mid-to-high-ranking officials in the Chongqing police and judicial departments are under investigation for sheltering or otherwise abetting the felons (People’s Daily, October 24; Ming Pao [Hong Kong] October 25). These bad apples include the former head of the Chongqing Judicial Bureau Wen Qiang and the former deputy-head of the Chongqing Public Security Bureau, Peng Changjian. Wen, who is also a former police chief, has admitted to taking bribes and gifts totaling nearly 100 million yuan ($14.6 million). The corrupt cadre even threatened interrogators that he would spill the beans on a number of more senior officials if he were given the death sentence. “If you sentence me to death,” he reportedly said. “I’ll reveal everything—then everybody will die together!” (Chongqing Evening News, October 25; Global Times [Beijing], October 20). On November 20, 2007, tens of thousands of ant farmers held demonstrations in front of the Liaoning Provincial Government, the Shanyang Municipal Government and the Headquarters of Yilishen Tianxi Group. 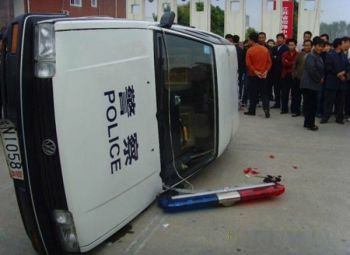 The authorities sent Liaoning’s entire police force to suppress the protest. Jurist Professor Yuan Hongbing analyzed the background and cause for the Yilishen incident in an interview. He advised the victims to line up with other rights defending movements across the country, and warned them not to rely on the CCP. Yuan pointed out that the Yilishen Company was a typical collusion between government and business enterprises, and that the growth of Yilishen had close ties with Bo Xilai, the former governor of Liaoning. Yuan said the company’s development and collapse show that the “economic reform” of the CCP has not established real free market economy based on fair competition, but rather an anti-social market economy dominated and controlled by Party bigwigs. In the past eight years, over one million ant farmers had been misguided by the CCP’s vigorous praise of Yilishen. Many ant farmers invested everything they had into breeding ants. Just over a month ago, the government forced the Yilishen Company into bankruptcy. 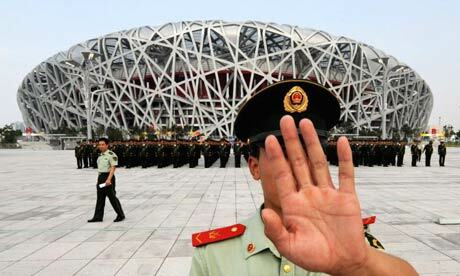 Yuan said, “All of these events prove that Chinese authorities are realizing their power in mafia-like ways. Whoever believes in this kind of power, said Yuan, will likely face a harsh lesson. Yuan believes that the Yilishen incident is directly linked to corrupt officials. It’s widely believed that the growth of Yilishen was connected to Bo Xilai. During Bo’s governorship Yilishen grew rapidly because the open support from the authorities and the high exposure on official media quickly won Yilishen people’s trust. “Bo repeatedly guaranteed Yilishen’s credibility in the name of the government, which is why so many people believed in it and invested their life savings into this company,” said Yuan. Yuan revealed that Yilishen finally fell because the company’s chairman failed to develop a good relationship with the son of the incumbent Liaoning premier. Hence after Bo left Liaoning the company lost support from the authorities, which ultimately led to Yilishen’s collapse. Yuan commented that the Yilishen case is a typical story in China’s unjust and corrupt system, “The fundamental cause for Yilishen’s bankruptcy is the conflict between the officials and dishonest businessmen. Since the story of the Yilishen affair broke, Liaoning authorities have taken every measure to block all related news. Meanwhile the authorities published a series of announcements to the victims in local media, dumping all the responsibilities to Yilishen president Wang Fengyou, and threatening to investigate whether the investment of the ant farmers are from legal sources. Under such threats, some ant farmers dare not make future demands to recover the debt. “In the Yilishen case, for example, Liaoning authorities and Bo Xilai are directly responsible for the tragedy of the ant farmers. But we must realize that the root of all these is the tyranny and dictatorship of Chinese communist regime.” Therefore, he said, only when Chinese completely refuse the tyranny of the CCP, can we make sure such a tragedy doesn’t happen again. The second principle, said Yuan, is to get organized. He said that the Yilishen victims should organize their rights defending activities in semi-secret or secret ways to fortify and focus their forces. An Australian court issued a default judgment Monday in a civil lawsuit filed by a torture survivor against China’s Minster of Commerce Bo Xilai. It is the first win in a case against Bo, who has been sued in over 10 countries for his role in the persecution of Falun Gong. Pan Yu, an adherent of the Falun Gong spiritual practice, sued Bo for torture during the minister’s visit to Canberra for the APEC forum in September. Pan had been shocked with electric batons in a labor camp in Liaoning Province when Bo was governor. One of China’s key delegates at this week’s APEC summit, Commerce Minister Bo Xilai, was promoted up through Communist Party ranks after overseeing the administration of forced labour camps in Liaoning Province, one of China’s main industrial bases. One may wonder why this man has been allowed into the country. With the title of Commerce Minister many Australians may have presumed that Bo Xilai is China’s version of our treasurer Peter Costello or perhaps the trade minister Warren Truss. Bo Xilai has been pursued by the courts in no less than ten countries including, Canada, Australia, US, England, Ireland, and Spain to answer allegations of such serious crimes as systematic torture and genocide. Here in Australia, a local Falun Gong practitioner Pan Yu is seeking justice through Australia’s courts after suffering terribly when he was forcibly detained under the authority of Bo Xilai at China’s Shenyang City’s Danan Custody Centre. Mr Yu says he was held for six months and was subjected to all kinds of torture and abuse after he went to appeal on behalf of Falun Gong which has suffered persecution in China since 1999. “Once people understand the magnitude of the crimes being committed, they will be shocked and horrified,” Mr Yu said. It is claimed that Bo Xilai openly authorised his subordinates to employ torture in an effort to coerce Falun Gong practitioners into giving up their practice. Cases of death by torture increased sharply under Bo Xilai’s authority. When Bo Xilai was governor of Liaoning Province from January 2001 to February 2004, he allegedly planned and developed large prison facilities and poured more than 1 billion yuan into upgrading notorious facilities such as the Masanjia Forced Labour Camp. The Falun Dafa information centre say that in 2003, Liaoning Province invested five hundred million Yuan in Shenyang to construct China’s first prison complex built simply to hold Falun Gong practitioners. The complex is huge, sprawling over 1.3 square kilometres. The first media reports that brought attention to the shocking atrocities of forced organ harvesting from thousands of living Falun Gong practitioners were also in Liaoning Province. And over the days to come as Bo Xilai, the former governor of Liaoning Province, attends APEC, the authors of a investigative report into those allegations of organ harvesting will also visiting Sydney – former Canadian secretary of state for Asia Pacific David Kilgour and international human rights lawyer David Matas. The Canadians are to receive an award for their human rights work while also taking the opportunity to attend forums in most of Australia’s capital cities. Thanks to the efforts of such individuals as Mr Kilgour and Mr Matas, Australia’s political community are attending APEC knowing full-well the unrelenting nature of China’s Communist regime. The burning question is do they possess the moral fortitude to make a stand for cardinal human values and the integrity of the democratic institution they claim to represent? Falun Gong practitioners charge that a visiting Chinese diplomat is guilty of crimes against humanity and served him with a lawsuit yesterday afternoon in the elevator of an Ottawa hotel. A member of the Falun Gong spiritual movement gave Bo Xilai, China’s Minister of Commerce, a statement of claim that alleges he “orchestrated and led a campaign of terror” while serving as mayor of the coastal city Dalian and deputy secretary of the Chinese Communist Party for the Liao Ning Province. Rong Jin, a 27-year-old former Chinese resident, is seeking $6.25-million in damages claiming that she was detained on two occassions in Dalian prisons, where she was tortured in 2000 for practising Falun Gong. Mr. Bo met with David Emerson, Canada’s Trade Minister, yesterday to discuss investment and commercial relations while dozens of Falun Gong members demonstrated outside of the Foreign Affairs headquarters. “I have known Minister Bo for 10 years, since he was the Mayor of Dalian and … he’s my counterpart, we have a tremendous amount of work to do together and [I have] a tremendous respect for him,” Mr. Emerson told reporters yesterday. Mr. Bo or the Chinese embassy have 40 days to file a statement of defence or Ms. Rong can ask for a judgment in his absence, said Lawrence Greenspon, a human rights lawyer in Ottawa who has taken the case. Ms. Rong is able to sue Mr. Bo in Canada because she continues to suffer damages, he added. The statement of claim was issued in Superior Court in 2005 when Mr. Bo was scheduled to visit Canada. He did not make the trip. The statement of claim was reissued last week. Mr. Bo, a charismatic politician who has been called the John F. Kennedy of China, has been accused of torture and murder in lawsuits brought by Falun Gong practitioners in several countries. Mr. Greenspon said the lawsuit also helps raise public awareness about the alleged injustices in China. “At the very least, their hope is Canada should not be playing host to people of authority who are responsible for torture,” he said. OTTAWA—Visiting Chinese official ( Minister of Commerce) Bo Xilai was served a lawsuit at the Westin Hotel in Ottawa this afternoon over his persecution of the Falun Gong spiritual group in China, witnesses said. Lucy Zhou, of the Falun Dafa Association of Canada said that Zhang Lingdi served Bo in the underground parking garage of the hotel after Bo returned from his visit to Canada’s Foreign Affairs department. Zhang’s father, Professor Zhang Kunlun, is a Canadian citizen who was tortured by the authorities in China for his belief in Falun Gong. The Royal Canadian Mounted Police, who had earlier threatened to arrest anyone who tried to serve a lawsuit on Bo, witnessed the service but did not interfere. A lawyer representing the Falun Gong practitioners had said the RCMP’s threat of arrest was “unacceptable” and interfered with their right to seek legal redress for injustice. Bo is a leading figure in the Chinese Communist Party’s persecution of the Falun Gong spiritual practice. He is accused of responsibility for a brutal campaign of persecution of Falun Gong adherents, including more than 100 torture deaths, in the northeast Chinese province of Liaoning where he was governor from 2001 to 2004. Bo, who is a close ally of Jiang Zemin, the former communist leader that started the persecution of Falun Gong in 1999, now holds the post of Chinese Commerce Minister. The announcement that Bo would visit Canada was met with protests from Falun Gong adherents, as well as rights groups and a prominent former Canadian secretary of state for Asia-Pacific, David Kilgour. It’s shock to hear from the news reports that Canada police “had received high-level orders to arrest anyone who tries to serve Bo Xilai legal papers”. Bo Xilai, who holds the title of Chinese Commerce Minister, is visiting Canada. He was the mayor of Dalian city in northeast China in 1999 and the governor of Liaoning province in 2001. He is responsible for “over 318 documented death cases of Falun Gong practitioners as recent as April 23 2007”. 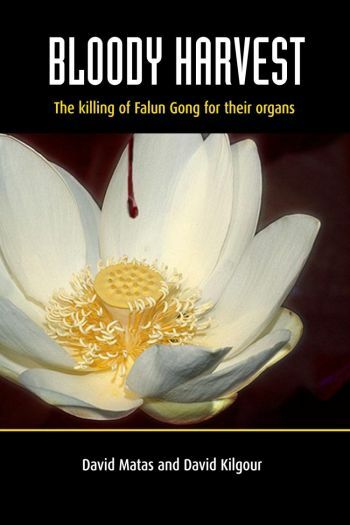 “Recent reports from David Kilgour and David Matas show substantial evidence of large-scale organ seizures from murdered Falun Gong practitioners in Liaoning province. Organ harvesting from Falun Gong practitioners is called by David Matas as “a form of evil we have yet to see on this planet…a new form of evil”. So the the Canada police ( RCMP) is try to arrest its own citizen to protect an foreign notorious crimes against humanity offenders. If it’s not because of money, how can it happens? Then where’s Canadian’s values and morals? While their next-door neighbours are paying homage to fallen soldiers during Memorial Day 2007, Canadians will be thwarted from serving papers on an alleged killer and one of China’s most notorious crimes against humanity offenders. Chinese Commerce Minister Bo Xilai–said to be responsible for 100 confirmed torture deaths of Falun Gong adherents while held in police custody in Liaoning Province–is expected in Ottawa today at the invitation of Canada’s Minister of International Trade David Emerson. Accepted on the Royal Canadian Mounted Police’s (RCMP’s) watch-list in September 2003, Bo is now being given Mountie protection. “On Sunday May 27th, RCMP Constable M. Mongeon told Falun Gong practitioners that he had received high-level orders to arrest anyone who tries to serve Bo Xilai legal papers.” (Falun Dafa Association of Canada). Bo, 57, Mayor of the City of Dalian, Liaoning when the persecution of Falun Gong was launched in July 1999, is one of the communist party’s prize “princelings”, the son of a first-generation, high-ranking communist party official. It was while Bo was serving as Governor of Liaoning from 2001 to 2004 when 100 torture deaths of Falun Gong prisoners were confirmed. All pleas to Prime Minister Stephen Harper, publicly credited for acting with conviction and compassion when it comes to respecting human rights, have fallen on proverbial deaf ears. With the exception of the National Post, media mewlings about Bo’s Ottawa visit today are all but non existent. The Falun Association of Canada got little help in even being able to pinpoint the timing of Bo’s Ottawa visit: “Jennifer Chiu, press secretary at Foreign Affairs and International Trade Canada, did not deny that a visit was in the works but told The Epoch Times Wednesday “the visit is not confirmed”. (The Epoch Times, May 24, 2007). Today Falun Gong practitioners will converge on Ottawa to rally with banners in front of Parliament Hill expressing their outrage over the Canadian government’s hosting of Bo. “Evidence of Bo’s complicity in torture and crimes against humanity has prompted lawsuits in 10 countries.” (Falun Dafa Association of Canada). “We are shocked that our government, who has recently shown some moral stand over human rights abuses in China, has taken such an about face on this issue by shielding a criminal of genocide and stopping Canadians from their right to seek legal redress for crimes against humanity,” said Xun Li, Falun Dafa Association of Canada President. Any diplomatic shielding of Bo flies in the face of the more than 318 documented death cases of Falun Gong practitioners as recent as April 23, 2007. Recent reports from David Kilgour and David Matas show substantial but largely ignored evidence of “large-scale organ seizures” from murdered Falun Gong practitioners in Liaoning Province. Bo, who was scheduled to visit Canada along with current Chinese leader Hu Jintao, made like the Artful Dodger when Liberal Paul Martin was Prime Minister in 2005. Falun Gong activists were proud to acknowledge that it was their protests kept him back in the Orient. This was how Bo reacted when an attempt was made to serve papers on him in Washington, D.C.: Suddenly clueing in that he had been served with court papers, tyrant like, the ex-governor of Liaoning threw the papers to the ground. Someone in his entourage physically attacked the process server, the process server said. An attempt to file a lawsuit against Bo in South Africa by nine Falun Gong practitioners met with violence. On June 28, 2004 enroute from Johannesburg Airport, a gunman with an assault rifle shot at as Falun Gong practitioner’s vehicle, hospitalizing the driver. After disabling the car, the would-be assassin made no attempt at robbery and successfully fled the scene. The practitioners believed the gunman was a killer for hire. Today’s visit by Bo to Parliament could be catalogued as the Liberal legacy of Canada’s Minister of International Trade David Emerson. First elected as a Liberal, Emerson served as Minister of Industry under Prime Minister Paul Martin. He was re-elected in the 2006 federal election as a Liberal. On February 6, 2006, Emerson accepted an offer to join the Canadian Conservative Government as Minister of Internal Trade and Minister for the Pacific Gateway and the Vancouver-Whistler Olympics. Emerson was never made to answer to constituent voters for being the first Canadian MP to cross the floor after being officially elected–but before being officially sworn in. Canada Free Press founding editor Judi McLeod is an award-winning journalist with 30 years experience in the print media. Her work has appeared on Newsmax.com, Drudge Report, Foxnews.com, Glenn Beck and The Rant. Judi can be reached at: letters@canadafreepress.com. Ottawa will play host next week to Chinese Commerce Minister Bo Xilai. Why would we let this man into our country? Bo was a Communist Party regional head when the Party declared war on the Falun Gong community in 1999. Two years later, he was governor of Liaonong province, where especially brutal torture and killing of Falun Gong practitioners occurred. The Matas- Kilgour report (organharvestinvestigation.net) quotes a woman whose surgeon-husband removed corneas from 2,000 practitioners’ eyes at a hospital in Bo’s province while he was governor. All “donors” in this commercial organ-harvesting scheme were murdered. Other evidence of torture and crimes against humanity during this period prompted lawsuits against Bo in 10 countries. A related suit was filed with the Ontario Superior Court in 2005. Just days before Bo’s latest attempt to enter Canada, two Canadians originally from Liaonong province told an Ottawa press conference what befell their own Falun Gong family members in Liaonong while Bo governed there. Intimidation. Torture. Murder. And journalists heard that Bo is on an RCMP watch-list of Chinese officials, is among 45 alleged perpetrators of crimes against humanity accepted by our federal government’s Crimes Against Humanity and War Crimes Program and will face a civil lawsuit if human rights groups can serve him during a Canadian visit. Stephen Harper has been a strong advocate of human rights in China. Officials have spoken out against Chinese espionage and the treatment of accused terrorist Huseyin Celil, and promised Canadians that trade won’t trump human rights, or — in Celil’s case — justify torture. Canadians want human rights and commerce balanced responsibly in our relationship with China. Given all this, why was Bo invited in the first place? To appease the China business lobby? Were Ottawa bureaucrats overruling Mr. Harper’s promise not to sacrifice human rights to trade? One way or another, a decision on Bo will require all of the Prime Minister’s gifts of leadership and moral clarity. Mechanisms are in place to bar Bo’s entry. Canadians –and many suffering Chinese– are watching. On September 15, while Bo Xilai, China’s Minister of Commerce, was visiting Sweden, Falun Gong practitioners filed a lawsuit against the Chinese Minister of Commerce for murder, torture, and abduction. At 9:00 a.m., practitioners submitted an indictment to the Swedish Police, charging Bo for murder, torture, and abduction. The Stockholm Police Department accepted the document. A practitioner later told reporters, “When Bo Xilai was the Mayor of Dalian from 1999 to 2001 and the governor of Liaoning Province from 2001 to 2004, Dalian City and Liaoning Province were among the cities and provinces that persecuted Falun Gong most severely. Reportedly, at least 357 practitioners have been persecuted to death in Liaoning. During his tenure as governor, Bo funneled more than 10 million dollars into renovating prisons to persecute Falun Gong practitioners. In October 2000, personnel at the notorious Masanjia Labor Camp stripped the clothes off 18 female Dafa practitioners and threw them naked into the male criminals’ cells. In addition, the most recent evidence suggests that Bo was involved in harvesting organs from living Falun Gong practitioners. Because of his role in persecuting Falun Gong, Bo has been sued in nine countries including the U.S., the U.K., Germany, Ireland, Russia, Australia, Korea and Spain. The practitioners said that they will hold several activities to expose Bo Xilai’s crimes to the public, media and the government.